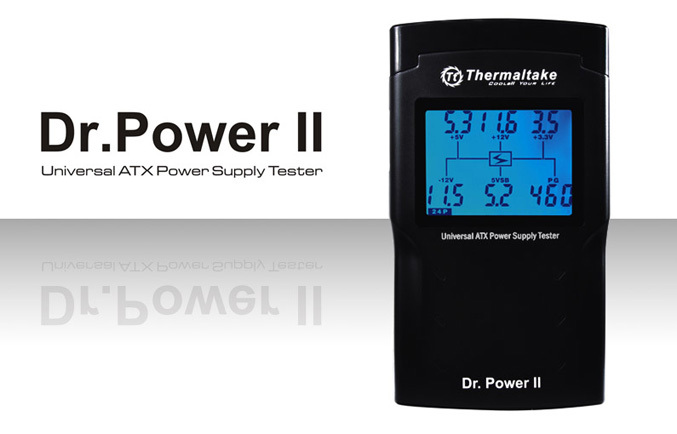 Thermaltake Technology is bringing a new successor to its Dr. Power power supply tester for DIY enthusiast and PC gamers which allows them to test and diagnose the power supply’s condition before damage occurs. The new device, unsurprisingly is called Dr. Power II and has oversized LCD panel that shows the value of each specific power rails (within one-tenth of a volt). This universal digital power supply tester supports almost every ATX power supply available today up to ATX12V v2.3 and also able to test every power supply output connector SATA, PCI-Express, peripheral, Floppy and CPU connector. It is equipped with output connectors diagnostic system and built-in alarm system for easy detection and notification of the the exact cause of their power supply. 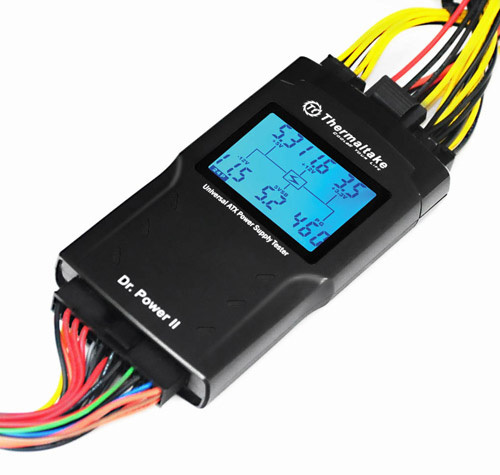 The new Dr. Power II Universal Digital Power Supply Tester will be available this month.